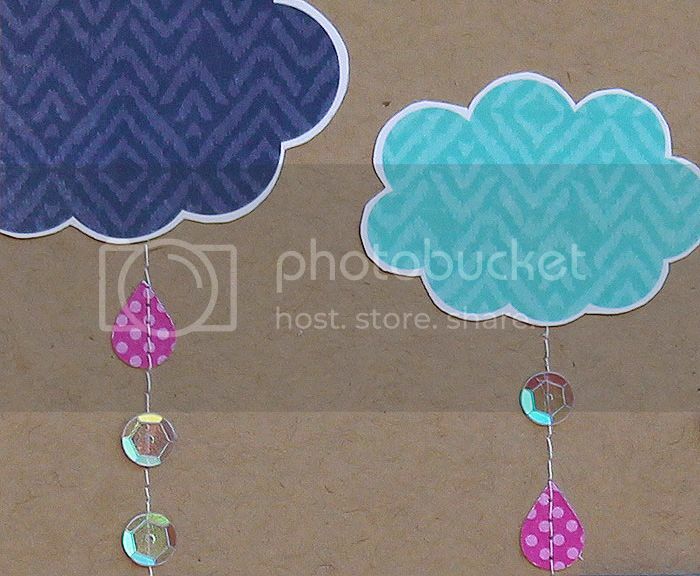 I made this layout a few weeks ago for Scrapbook Daisies, my local scrapbook store, using the new Splendid Sunshine collection from Echo Park. The colors couldn't have been more perfect for matching Gracie's raincoat and umbrella! I fussy cut some of the clouds, then added a little machine stitching, raindrops cut on my Silhouette and iridescent sequins. Adore this, Mary Ann! I love the sewn on raindrops and sequins. Too cute Mary Ann!! 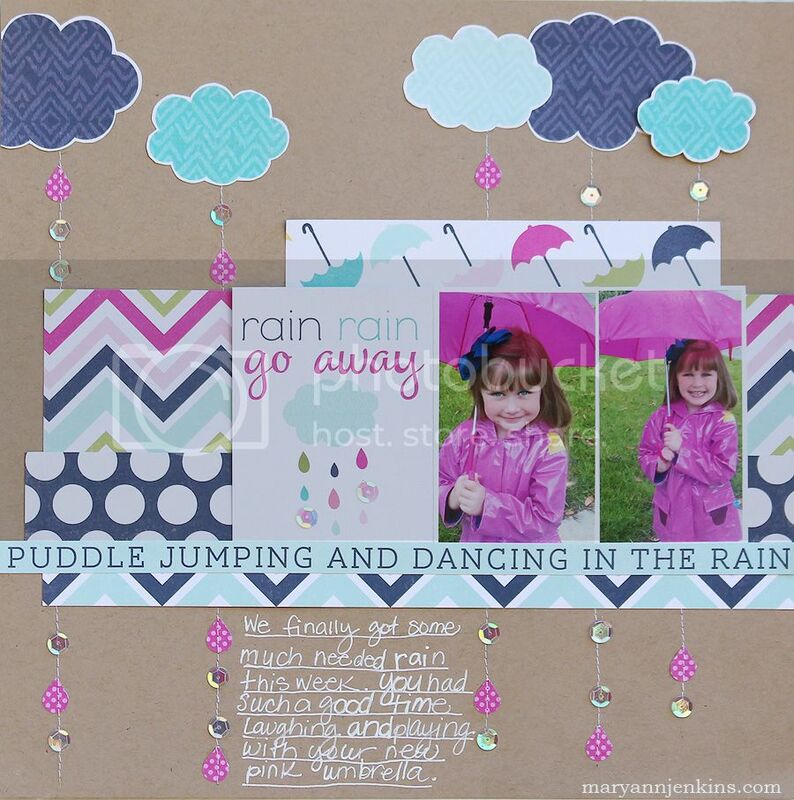 Love how you added the fun "raindrops"!! This couldn't be cuter. Adorable photos, too.